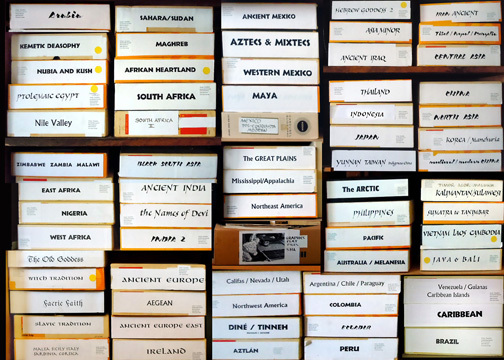 Thanks to all who donated toward the down payment for a permanent home for the Suppressed Histories Archives; for helping to preserve and protect this collection. The Archives is a labor of love, which receives no institutional funding or support. We are now working on reconfiguring the web site, including 8000 new pages that simply need to be edited and tagged for searchability. Tech support will be needed for this reconfiguration into a more easily editable CMS format. If you see the importance of more people knowing the full story about women and all the suppressed histories, please contribute. Donations of any amount are received with thanks. • Give online by credit card or paypal. Major credit cards are accepted, you don't need to be a PayPal member. Just click on the Donation button below to make your contribution, then on the next page choose Paypal or, for credit card payment, the grey button below that. If you don't use PayPal, you can send a check or money order made out to Max Dashu, to Max Dashu, PO Box 5377, Richmond CA 94805, Earmark it Donation for the SHA (Suppressed Histories Archives) so that I know it is not a purchase or subscription. Please do not make checks out to the SHA! until we get our non-profit status. The SHA is applying for non-profit status and will eventually be able to offer tax deductible status to donors. Currently a fiscal sponsor is helping for donations over $200. Enquire for information on how to make this kind of donation.